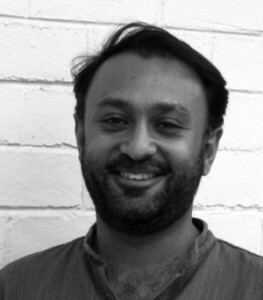 In this column, Mandeep Tiwana, a lawyer specialising in human rights and civil society issues and Head of Policy and Research at CIVICUS, the global civil society alliance, reports that civil society groups are facing increasing challenges as they seek to assume their rightful role as partners in development. He calls on civil society around the world to remain vigilant and act collectively to ensure that the fundamental rights of freedom of expression, association and assembly are protected. JOHANNESBURG, Nov 25 2014 (IPS) - Nabeel Rajab, president of the Bahrain Centre for Human Rights, an advocacy NGO, is facing criminal charges for sending a tweet that said: “many Bahrain men who joined terrorism and ISIS have come from the security institutions and those institutions were the first ideological incubator”. Yara Sallam, a young Egyptian woman activist, is in prison for protesting against a public assembly law declared by United Nations experts to be in breach of international law. In Nigeria, it is illegal to support the formation of `gay clubs and institutions’. In Bangladesh, civil society groups are subjected to rigorous scrutiny of their project objectives with a view to discourage documentation of serious human rights abuses. In Honduras, activists exposing the nexus between big business owners and local officials to circumvent rules operate under serious threat to their lives. In South Sudan, a draft law is in the making that requires civil society groups to align their work with the government-dictated national development plan. With barely a year to go before finalisation of the next generation of global development goals, civil society groups are facing increasing challenges as they seek to assume their rightful role as partners in development. Back in 2010, when the United Nations organised a major summit to take stock of progress on the Millennium Development Goals (MDGs), a number of civil society groups lamented that“too little partnership and too little space” was marring the achievement of MDG targets. They pointed out that, in a large number of countries, legal and practical limitations were preventing civil society groups from being set up, engaging in legitimate undertakings and accessing resources, impeding both the service delivery and watchdog functions of the sector, thereby negatively affecting development activities. Since then, there has been greater recognition at multilateral levels about the challenges faced by civil society. In 2011, at a high-level forum on aid and development effectiveness, 159 national governments and the European Union resolved to create an “enabling environment” for civil society organisations to maximise their contributions to development. In 2013, the U.N. Secretary General’s expert High Level Panel on the Post-2015 Development Agenda recommended that a separate goal on good governance and effective institutions should be created. The experts suggested that this goal should include targets to measure freedoms of speech, association, peaceful protest and access to independent media and information, which are integral to a flourishing civil society. The Open Working Group on Sustainable Development Goals (SDGs) has also emphasised the importance of ‘partnership with civil society’ in the post-2015 agenda. Even as restrictions on civil society activities have multiplied around the world, the U.N. Human Rights Council has passed resolutions calling for the protection of civic space. Senior U.N. officials and experts, including the new High Commissioner for Human Rights, Zeid Ra’ad Al Hussein, have spoken out against state-sanctioned reprisals against activists highlighting human rights abuses at home and abroad. Yet, despite the progress, civic space appears to be shrinking. The State of Civil Society Report 2014 issued by CIVICUS points out that following the upheavals of the Arab Spring, many governments have felt threatened and targeted activists advocating for civil and political freedoms. In Ethiopia, bloggers and journalists speaking out against restrictions on speech and assembly have been targeted under counter-terrorism legislation for “inciting” disaffection. Additionally, the near total dominance of free market economic policies has created a tight overlap between the economic and political elite, putting at risk environmental and land rights activists challenging the rise of politically well-connected mining, construction and agricultural firms. Global Witness has pointed out that there has been a surge in the killing of environmental activists over the last decade. Notably, abundant political conflicts and cultural clashes are spurring religious fundamentalism and intolerant attitudes towards women’s equality and the rights of sexual minorities, putting progressive civil society groups at serious risk from both physical attacks as well as politically motivated prosecutions. In Uganda, concerns have been expressed about the promotion of homophobia by right-wing religious groups. In Pakistan, indiscriminate attacks on women’s rights activists are seriously impairing their work. Countering these regressive developments will require greater efforts from the international community to entrench notions of civic space in both developmental as well as human rights forums. A critical mass of leading civil society organisations has written to U.N. Secretary General Ban ki-Moon urging him to ensure that the post-2015 agenda focuses on the full spectrum of human rights, with clear targets on civil and political rights that sit alongside economic, social and cultural rights. It is being argued that explicit inclusion of the freedoms of expression, association and peaceful assembly which underpin a vibrant and able civil society should be goals in themselves in the new global development agenda. It is equally vital to make parallel progress on the human rights front. Many governments that restrict civic freedoms are taking cover under the overbroad provisions of the International Covenant on Civil and Political Rights (ICCPR). They argue that the provisions of the ICCPR on freedom of association and assembly, which are short on detail, are open to multiple interpretations on issues such as the right to operate an organisation without formal registration or to spontaneously organise a public demonstration. The global discourse on civil society rights would be greatly strengthened if the U.N. Human Rights Committee, the expert body of jurists responsible for interpreting the ICCPR, could comprehensively articulate the scope of these freedoms. This would complement progress made at the U.N. Human Rights Council and support implementation of comprehensive best practice guidelines issued by the U.N. Special Rapporteur on the rights to freedoms of peaceful assembly and association. For now, the odds seem to be heavily stacked against civil society groups fighting for economic, social and political justice. Many powerful governments do not subscribe to democratic values and are fundamentally opposed to the notion of an independent sector. And many democracies have themselves encroached on civic space in the face of perceived security and strategic interests.